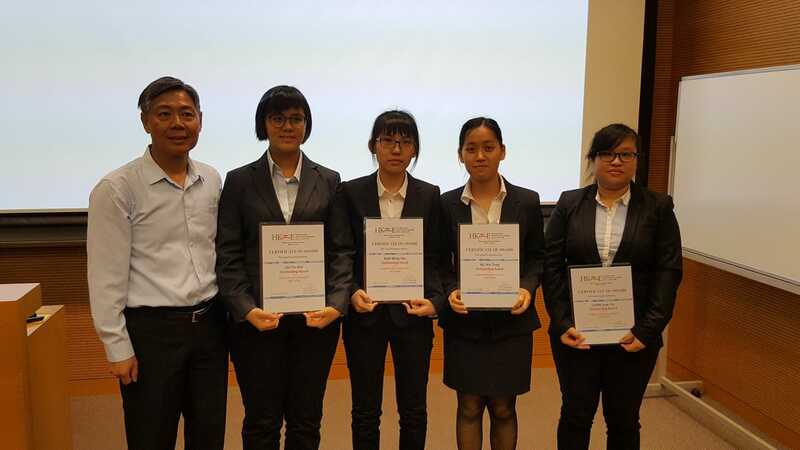 The students from BSc(Hons) in Testing and Certification and BSc(Hons) in Testing Science (Food), joined the project competition organized by the Hong Kong Institution of Engineers – Manufacturing and Industrial Division. Five local universities nominated the student projects to participate the competition. 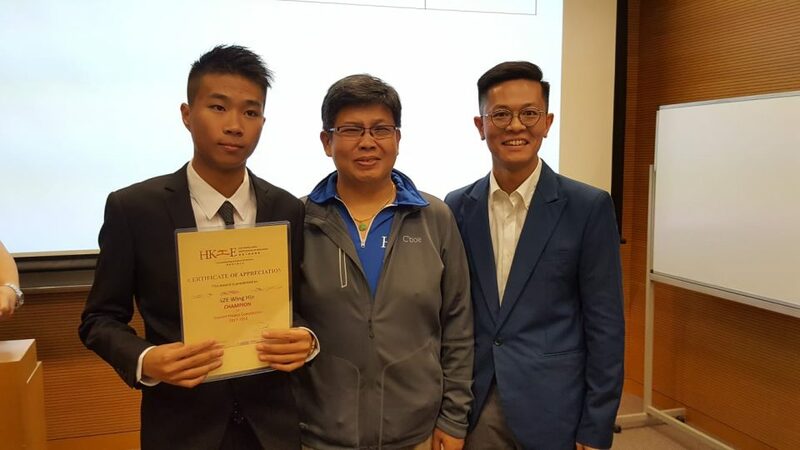 Ten selected projects was presented in the Hong Kong Polytechnic University on June 1, 2018. The student, SZE Wing Hin, won the champion award by presenting his project “A study of automated machine for 10-writing instruments writing test” and students, CHAN Sum Yin, KAN Wing Yan, LAI Tsz Wai and NG Hiu Tung won the outstanding project award by presenting their project “Improvement of the Manufacturing Process of Traditional Chinese Preserved Eggs”.